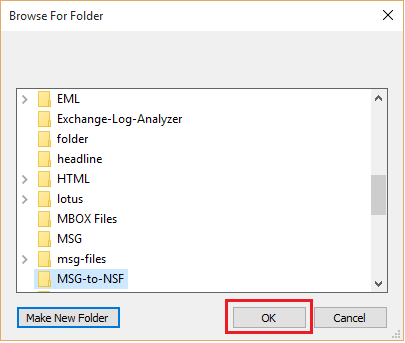 MSG to NSF Converter Moves Email Messages from Outlook MSG format to Lotus Notes NSF Database Easily. 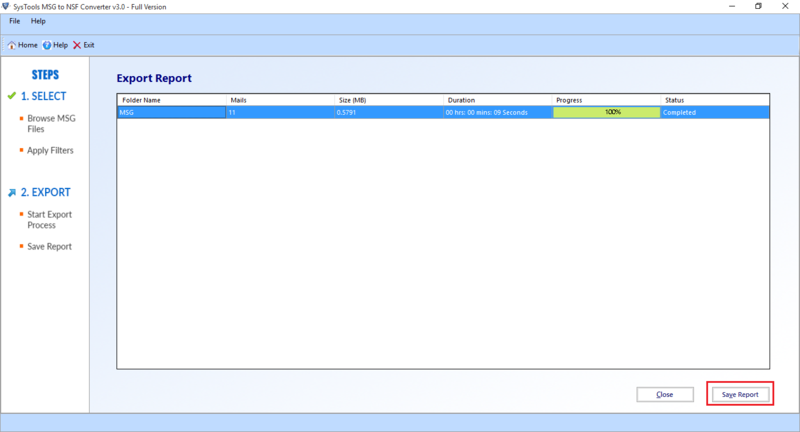 The tool Migrates Mailbox messages into Lotus Notes 8.5, 9.0.1 etc. versions without any data loss. Any one of the different version like, Lotus Notes 8.0, 8.5, 9.0.1 etc must be installed to perform MSG to NSF data transfer using this application. The MSG to NSF Converter can operate with all Microsoft Windows versions namely Windows 10, 8.1, 8, 7, Vista, XP, etc. MSG to NSF Exporter tool is programmed in such a way to convert multiple messages from Outlook to Lotus Notes in an appropriate manner. Basically, it will focus on safe and secure conversion of the entire data. Users just require to install the utility on their local systems. Then, choose MSG data file that can be converted in .nsf file format. 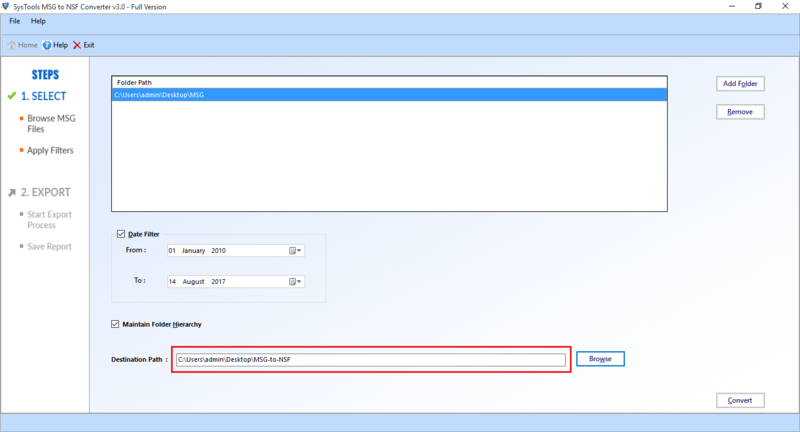 This conversion tool provides 'Add Folder' facility to transfer multiple MSG files in Lotus Notes NSF. It simply means that if a user wish to export all messages from Outlook then, click on Add Folder option and select multiple files that you have to choose from a given list to perform the conversion process as well. 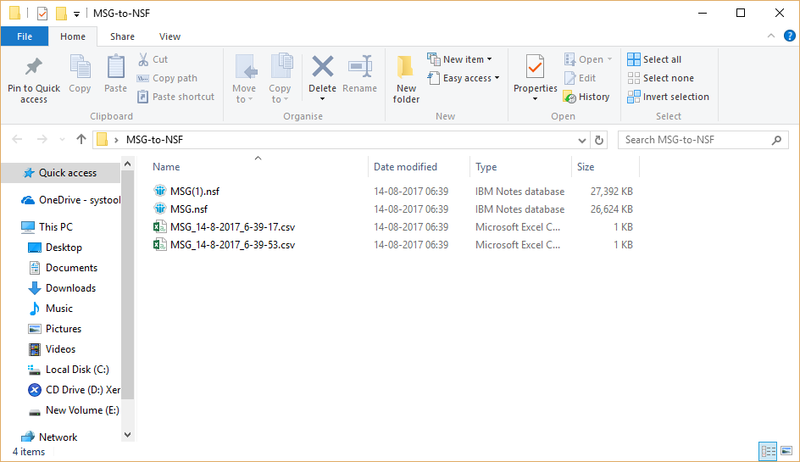 The MSG file to NSF Converter allows the user to hold an internal structure of the folder while accessing the .msg data during migration. With this utility, end users will find the same folder hierarchy as it is even after the conversion. Although, this tool enables to keep all crucial data safe and secure without any kind of data loss. 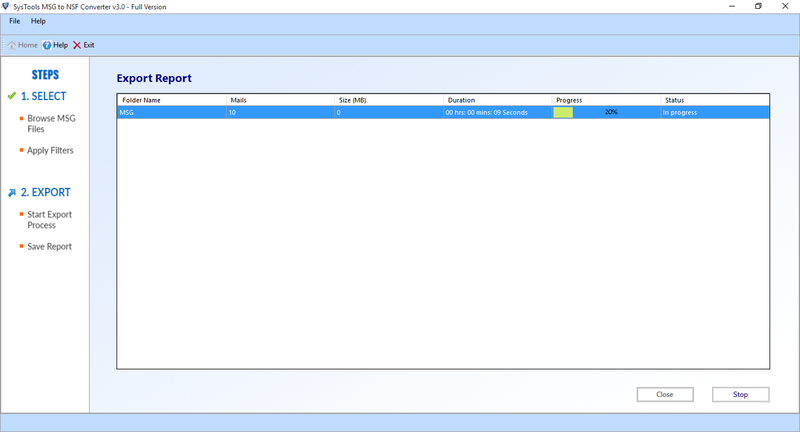 So, the users can easily access email messages(.msg) in Lotus Notes. Besides all such features, Date Filter is especially most attractive feature for all users likely to be convert Outlook .msg files into Lotus Notes email. With this feature, the user is capable to carry out the selective conversion of MSG file. In that case, they only needs to specify a unique date column “From” & “To” as they want to use for filtering. Once it is done, all .msg files received in a specific range and now, the user easily import .msg files into .nsf format. To perform MSG to NSF conversion, users just need to install Lotus Notes 8.5, 9.0.1 version. Along with this, the migrator tool will ask for a password first before it is exporting. Just added a new useful feature to the software pane and protects users information as securely as possible. After conversion, a report is generated in CSV format and users can also save this export report in the desired location for future reference. Note: Also, check the maintain folder hierarchy option for retaining the internal structure of the added .msg file. Step 7: Choose the specific location and then, click "Ok" button. 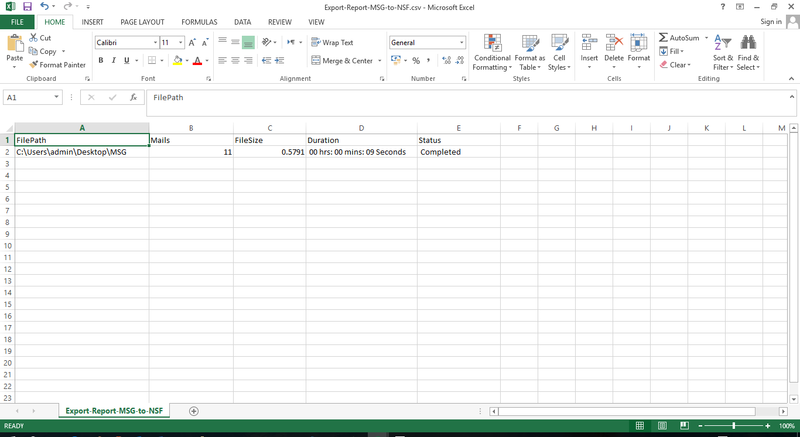 Step 13: In order, navigate the desired location to view the export report. Q. Is this MSG to NSF Converter tool capable to perform the selective conversion? 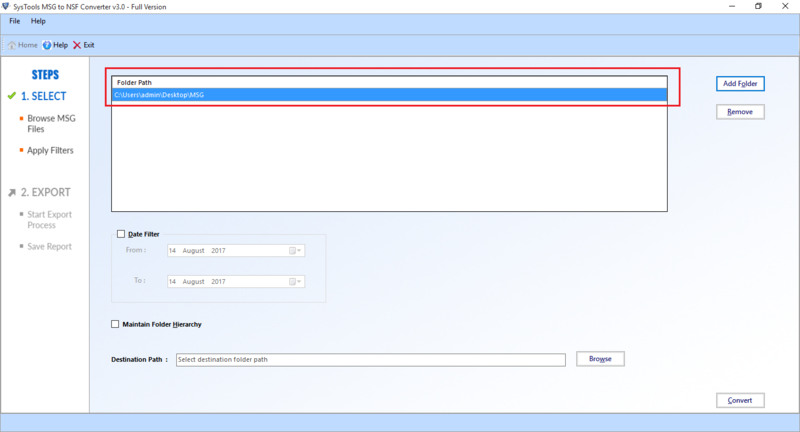 Ans: Yes, with this migrator you can easily move selected emails from Outlook to NSF file using date filtration feature. Q. Can I convert all messages (.msg) into Lotus Notes within a specific date range? 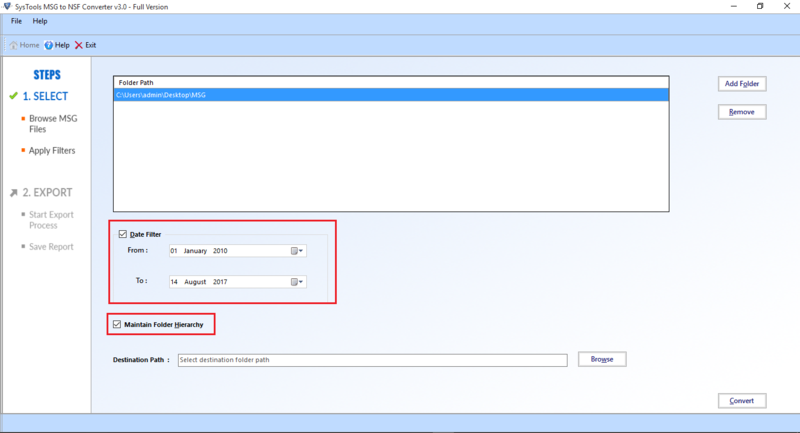 “Recently I want to bring over data on or after a certain date. Therefore, I want to know Is there any way to export data for a particular date range to perform the data conversion?" Ans: Yes, Of Course, this software provides "Date Filter" by which the user can search MSG file by a certain date. Q. Does the installation of Lotus Notes mandatory throughout the migration? “I wish to export all Outlook MSG into NSF file but, I do not have Lotus Notes email client on my local machine. I just have .nsf files. Thus, I want to know that Is there any requirement to install Lotus Notes email or not?" Ans: Yes, IBM Lotus Notes should be installed for exporting .msg files into .nsf format with MSG to NSF converter tool. Working with MSG to NSF Converter tool was a great pleasure for me. It has multiple new features such as date-filtering and user-friendly interface. 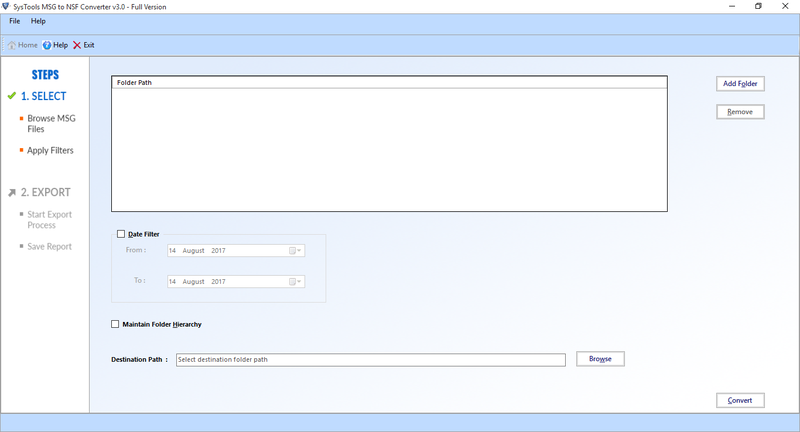 With date filter option, I was able to perform selective email conversion from Outlook to Lotus Notes NSF. Moreover, a novice user can easily convert all messages into NSF file with this amazing software. Thanks you such much!! 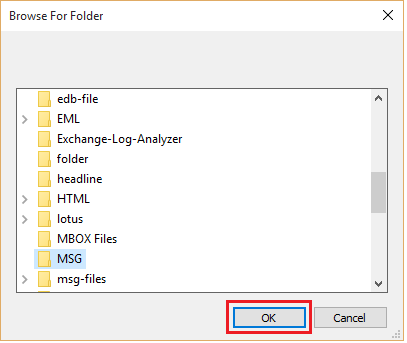 From past few months, I was looking for an easy and simplified solution by which I can open Outlook .msg file in Lotus Notes NSF. Luckily, I found such a proficient tool to perform the data migration in a convenient way. Moreover, I used this application to export all messages (.msg) into NSF file format at a time without any fear of data loss. Thus, I want to recommend this tool to every user for getting quick and precise results. Great work! !